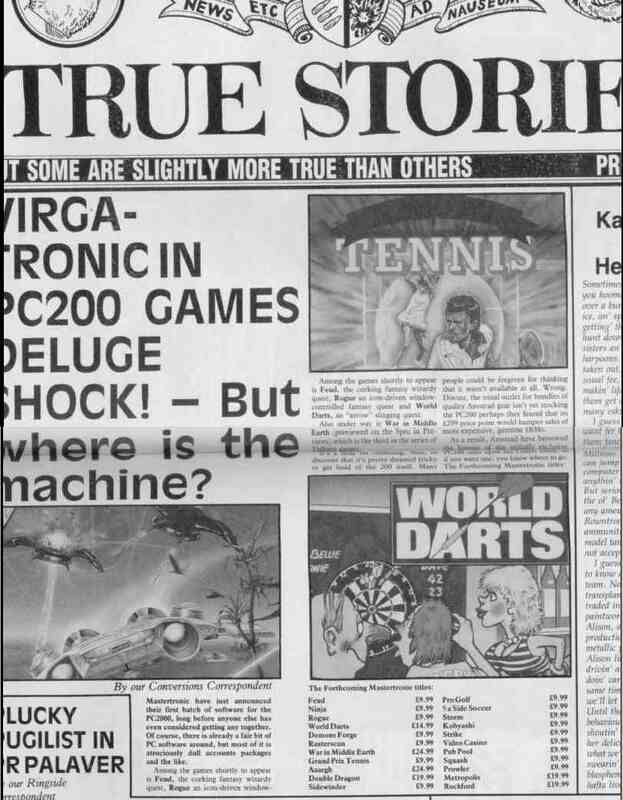 Sinclair User, December 1988, features our range of games for the PC in its slightly spoof but actually reality based "True Stories" regular feature. The first batch was a mixture of conversions and new games being written by US based programmers, who took for granted that a game would load from disk. "Where are the machines?" is a reference to the rather incoherent state of the PC market in the UK at the time. The standard IBM models were used widely in business but not seen as games platforms. Amstrad was about to launch its own range (and I bought two of them, one for the office and one for personal use). There was a bewildering variety of clones as well but all aimed at business users. Sorry about the state of this scan. This one page is slightly out of focus.